Many hours are expended gathering the names, dates and locations for your family pedigree chart, along with verifying the information. However, there are always a few blanks, those relatives for whom all you know is the name; “Grandpa Frank.” Or worse, you have no name of any form, just a total blank in your lineage. There are also the situations where you have a name, possibly a birth date, but nothing on that individual after they were an adult. Somewhere, they appear to have disappeared off the face of the earth. Everyone doing genealogy has one or more such elusive ancestors. Not to despair, with more vital records becoming open and available to the public, it will be easier to locate information on those relatives. First, begin with all the known information. If the unknown ancestor is slotted as your grandfather, knowing everything about his wife or wives (your grandmother) is very important. Equally necessary are listings, with details, on his children, including any children born of second or third wives. Sometimes, locating information on stepchildren or half-siblings can point a researcher in the first direction for their own direct lineage. Second, reviewing the identified information on those closest to the nameless ancestor may reveal patterns in names. If one of his sons used the name; Jeremiah Wilfred Bixler, those given names might be a clue, the father may have been named ‘Wilfred‘. When a given name is less common, it is also easier to research a person. Use the free Family Search (developed by the Church of the Latter-Day Saints) web site to start. It is available online, at the numerous local Family History Centers, at county genealogical societies and at public libraries. Place the known individuals one at a time; his children, a wife (using her maiden name helps) or even his siblings’ names. Put in the given and surnames, an approximate date of that person’s birth or marriage (along with a range of dates), the country and county or state that person lived in sometime during their life. The return listing will have to be filtered and examined. It is amazing how many individuals have similar names, births and locations. Check each one, there just might surface the necessary clue. The Family Search is good for those individuals you have at least a first and last name for. If only a given name is known, it cannot narrow down the list. However, if you have a location; a county or state, and the person lived between 1840s and 1900 in the United Kingdom and 1850s to 1930 in the United States, the census records can be helped. On most of the Internet sites of census databases; the UK 1881 census, the Canadian 1881 and the U. S. 1880 census are free to examine. 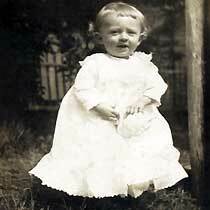 For example; you’re trying the given name ‘Wilfred’, born about 1870 in Lancashire County, England. Striving to locate an individual with their birth family is best, it can provide additional information on parents and siblings. With the 1881 UK census, online at Ancestry.com place Wilfred, a 1870 birth with range of two years and Lancashire County. order. This is where patience comes in researching. You may have to go through each, looking at names of head of household, spellings of surnames to see if there clue to your missing ancestor. He might be living with grandparents or other relative. A young boy of 11 or 12 years old in 1881 might be in a boarding school or an orphan in an institution. Examining the index will help narrow down the possibilities. Keep notes of which ones you want to view the complete census. Those with a real likelihood write notes of all individuals in the household, ages, occupations and location of house. You will need to refer to those notes as you narrow in on the ancestor. Also to use free on Ancestry.com is the BMD (birth, marriage, death) Index of England for 1837 to 1915. It will have the registration quarter (January to March) for each registered birth, marriage and death for those years. Here you place a given name, approximate birth year and location and all the names appear in alphabetical order appear. Eliminate those that don’t apply and make notes of those with potential. Keep focused on one elusive relative at a time. Put the time and effort into checking the historical records; census, city directories, military records, birth-marriage-death indexes, deeds, church records, occupational indexes, etc. Most ancestors from the last two hundred plus years are noted in official records somewhere. Discovering even just a little additional information enriches the family tree and helps fill in those blanks on the pedigree chart.